FULL ENTERTAINMENT LINEUP WILL BE RELEASED IN APRIL! Military Monday - A day honoring the military and their families who support them! Active Duty and veterans present your military ID at any Fiesta de los Reyes beverage booth to receive a special wristband for food and vendor discounts and $1 off sodas for the entire day! From 10 AM till 8 PM look for the Rey Feo Consejo Educational Foundation members distributing wristbands from the beverage booths. Look for the booths with a U.S. flag for discounts! 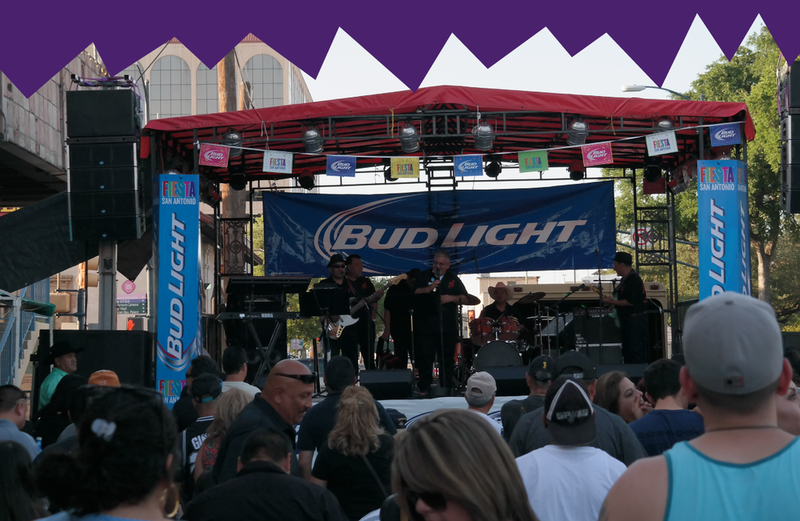 It's the only night Market Square will switch it up from the popular Tejano scene and become the gathering place to hear your favorite 80s, 90s and current hits. The Spazmatics are back by popular demand on the Gateway Stage underneath the highway overpass at 9 PM! Finding Friday will perform on the San Saba Street Stage. No time for siesta, it’s time to Fit Fiesta! Join us at the Market Square Gateway Stage as Fiesta de los Reyes teams up with The Lion's Den Nutrition Fitness Training to host San Antonio’s largest outdoor Zumba class! 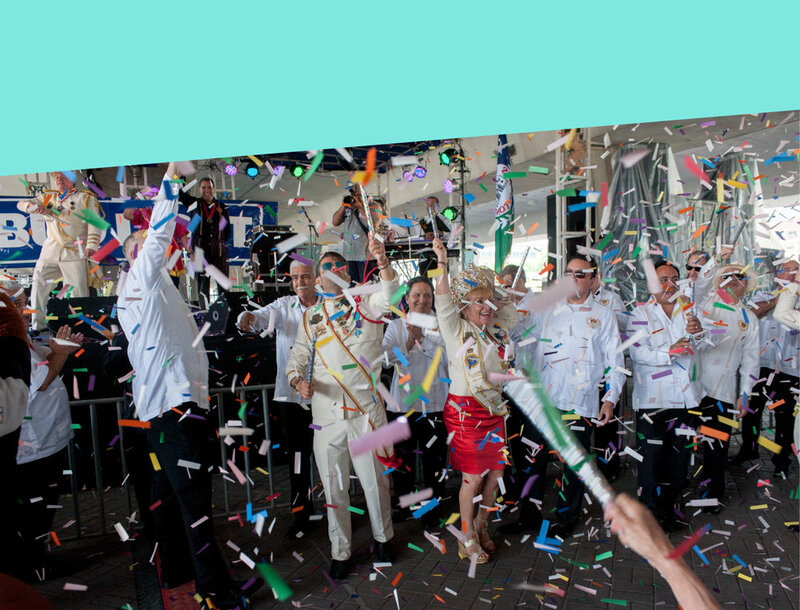 Given its success and popularity, Fit Fiesta will return for its seventh year and it will be the greatest yet! Fiesta fitness attire highly encouraged! The event will begin at 10 AM, so come prepared to move! Active wear and tennis shoes are highly encouraged, as we’re planning to burn off all those delicious Fiesta treats and have fun while doing it! All cheer squads, dance groups and youth sports teams are encouraged to attend and wear their school or team shirts. FOOD VENDORS ARE SELECTED THROUGH A LOTTERY/DRAWING HELD EACH YEAR. THE LOTTERY WILL BE HELD ON TUESDAY, FEBRUARY 26, 2019 INSIDE THE FARMER'S MARKET AT MARKET SQUARE LOCATED AT 612 W COMMERCE ST, SAN ANTONIO, TX 78207. Registration from 5:30 PM to 6:30 PM. Lottery begins at 6:30 PM. THE SELECTION PROCESS FOR 2019 FIESTA DE LOS REYES EXHIBITORS WILL BEGIN ON JANUARY 1, 2019. CLICK HERE TO DOWNLOAD THE APPLICATION, AND THE POLICIES & REGULATIONS: EXHIBITOR/VENDOR APPLICATION. IF SELECTED, YOU WILL BE CONTACTED WITH AVAILABLE BOOTH LOCATIONS AND PRICING. FRESCAS (INCLUDED IN THE LOTTERY/DRAWING). Click below for 2019 sponsorship opportunities! Since 2010, the Rey Feo Consejo Educational Foundation and City of San Antonio partner annually to produce Fiesta de los Reyes at Market Square, a culturally-rich celebration featuring daily and nightly live performances, a wide variety of delicious cuisine and exciting family-friendly events. The event is an Official Fiesta Event! Visit the Fiesta Store, 2611 Broadway, 78215 to purchase the Fiesta de los Reyes medal. Event opens at 10 AM and closes at Midnight. Saturdays till 1 AM. Admission is free! Please remember that chairs, ice chests, glass bottles and aluminum cans/bottles are prohibited in Market Square during Fiesta. Looking for safe ride options please visit VIA Metropolitan Transit website to use their expanded Trip Planning service with new, easy-to-use features or opt-in for a rideshare! The Rey Consejo Educational Foundation is a membership-based nonprofit founded in 1982 by Rey Feo XXXII Logan Stewart. The organization is comprised of 22 former Reyes Feos and 125 business and civic leaders. The organization's mission is to uphold the traditions, increase awareness and support the efforts of the LULAC Council #2 Rey Feo Scholarship Program. Visit the Foundation's website at www.reyfeoconsejo.org.